The homepage of the charity ‘Care for Clare’ and voluntary donations to The School Fund. We are incredibly lucky to have a host of groups that fundraise for us at The Clare School and we use these opportunities to add into the school’s upkeep, buy specialist equipment, fund trips and activities and achieve bigger projects. The School Fund is where donations freely given to the school are used for a wide variety of consistently ongoing projects in the current year, both small and large. The Care for Clare appeal aims to raise enough funding to help provide specialist equipment for use in the classroom and outside environment, which will bring independence and fun to the pupils of The Clare School. for both ambulant and wheelchair users. For example a Quiet Zone that will provide a place where the pupils can sit quietly, a Sensory Garden to develop all of the senses and active zones that will cater for ambulant pupils and wheelchair users alike. Other projects that have benefited from our fundraising include a new extension to the sensory studio (as part of our specialist bid), provision for a new gym floor and funding for a sound beam for our pupils. Our current fundraising projects are to further develop the outdoor learning facilities for pupils and support the purchase and upkeep of the school mini-bus. Our longterm project is to build a hydro-therapy pool. 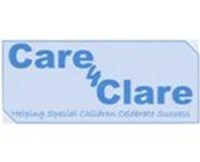 Please remember that Care for Clare donations can be subject to ‘Gift Aid’, and this can easily be done through the Just Giving Link below. Gift Aid gives Care4Clare an extra 25p for each £1 you donate at no additional cost to you. Alternatively you can make a donation to our ‘Just Giving’ pages – see details below.